The new well is drilled and the pump house is almost completed. We are waiting for the pump and the motor. They contractor started on the water mains, but have been held up by the weather. We will be going to meters. Replacement of the metal water tank will be the last part of the project to be completed next fall. 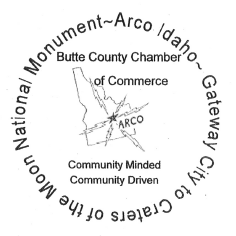 The Arco Water Project will be the subject of the presentation at the monthly business meeting of the Butte County Chamber of Commerce. Councilman Gene Davies will be our guest. Councilman Davies will describe the project and the timeline projected by the engineering firm and answer questions. 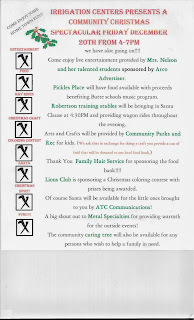 The The Butte County Chamber of Commerce’s December meeting will be held Wednesday December 11th, at Pickle’s Place. The meeting will begin at 8:00 AM. After the short presentation, the Chamber will consider other business. Chamber of Commerce meetings are open to all. Click the poster for the rules and registration information! Melina introduced Julie Hayward the new executive director. Lost River Economic Development Directors are having meetings on October 22 and 23 at the Business Center. The purpose of the meetings will be development of a strategic plan. Julie indicated that since LRED receives public funds the meeting will be open for all. She invited everyone to the meeting. The facilitator for the strategic planning will be Wendy Greenlowe. 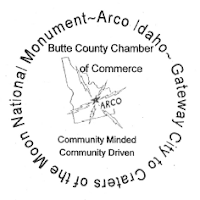 The Butte County Chamber of Commerce will meet on Thursday October, 10th at 8:00 AM at the Golden West Café. Our program for this meeting will be Ms. Julie Haywood, recently hired executive director of Lost Rivers Economic Development. Ms. Hayward will be discussing here perspective on economic development in the Lost Rivers Valley. Please join us to learn more about Lost Rivers Economic Development. 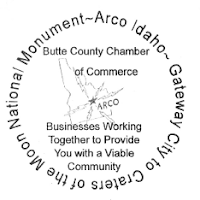 Butte Chamber of Commerce meetings are open to all. 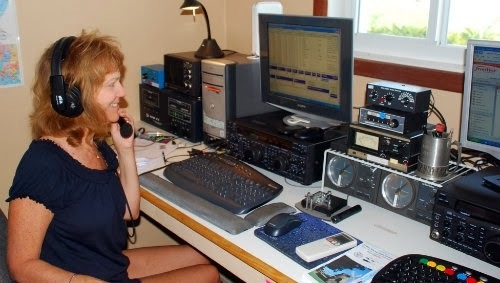 Anyone interested in becoming part of an amateur (HAM) radio operator should attend a meeting on Sunday afternoon, October 6th, in Conference Room A of the Arco Butte Business Incubation Center. The meeting will begin at 6 PM and should be over before 8 PM. 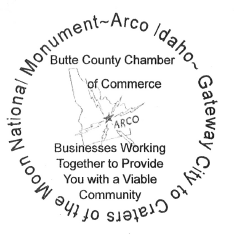 Our second and final meeting of the Butte-Clark Transportation Committee this year will be at 6 p.m. on Wednesday, Oct. 9. We will gather in the Dubois City Hall on 332 W. Main Street in Dubois. Members present were: Marie Cummins, Jack Jensen, Shelley Rupp, Brad Huerta, Melinda Shodin and Clay Condit. Due to the Lost Rivers Medical Center presentation, and the absence of both Executive board members and current committee chairmen/women of up and coming events there was no agenda to approve. Jack moved to table the minutes; seconded by Marie- Motion carried. Jack moved to table the financial reports; seconded by Marie- Motion carried (it was noted that Janet had stated there had been no new business financially and the report was still the same as last month. It was proposed by Brad that we put a flyer about the variety show and community recognition program together to add to the hospitals break for breakfast on Oct 2nd. We will discuss this with Mea. Brad was happy to report that the state of the hospitals financial status has finally been balanced with its budget, so long as there are no surprise repairs or unforeseen breakdowns of equipment. An immediate concern is that the x-ray machine is extremely old and in need of replacement. This is a very grave concern for the hospitals continuation of this needed service, as it is a most integral piece of equipment and necessary for the Medical Center's survival. Brad stated that he is committed to his position and this hospital. He is very proud, of the progress that has been made thus far. He has worked hard to create a working, balanced budget along with the assistance of the hospital's board of directors and his administrative assistant, Shelley Rupp. Brad emphasized that it is his belief that this impending recovery is due primarily to many of the hospitals staff members. He stated that, it was they alone in their dedication to this recovery mission, and their willingness to make then needed salary adjustments thus enabling the Medical Center to move forward from the very difficult financial condition in which they were in. The Board has had to make some very tough decisions, for some, this meant staffing cuts, thus increasing the workload of the remaining employees. 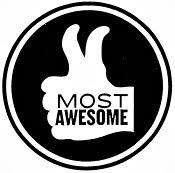 Brad stated several times his appreciation and admiration for those who stayed to weather the storm and has been very impressed with employee morale, team spirit and every ones combined effort to keep the quality of patient care up, and patient cost down. On a lighter note, Brad was happy to announce that under its new leadership the hospital is now benefiting from government funding programs which are available to all hospitals and were not being taken advantage of in the past. This amounts to about $500,000 a year increased revenue, which has of course been included in the hospitals operational budget. Brad asked the Chamber to back him in his endeavor to gain approval for the proposed new bond. He gave an extremely informative and persuasive talk about the utmost importance of passing the bond on the upcoming November ballot. Brad also enumerated many reasons for its necessity and especially the need to liquidate past debt remaining from the accrued unpaid debt after the 2009 audit and 2010 bankruptcy settlement. To date, there remains $1.8 million in un-discharged debt from the facility bankruptcy in 2010. Additionally, there is also another $700,000 in aged accounts that are still pending payment, from by the Medical Center's past administration. The Medical Center budget has no room for any extra overhead expenses. Since two thirds of the Medical Center revenue comes from Medicare and Medicaid there is concern over the need to purchase an Electronic Medical Records System (EMR), which is mandated under the Affordable Health Care Act to comply with the Government standards and to receive reimbursement for their services. It is proximately a. $1.5 million for the Lost Rivers Medical Center and is necessary to receive reimbursement under Medicare and Medicaid. Covering an area larger than the state of Rhode Island, the hospital taxing district (which includes all of Butte County and southern Custer County) is requesting the passage of the Bond on November 5th of this year. This tax bond will affect those who live within the hospital district, and will be only a nominal percentage of the district's assessed property value. Another reason to passing of this bond is the importance of the huge trickle down impact the closure of the Medical Center would have on the surrounding sustainability of the community. Most of the Medical Center employees are well -educated professional people who could easily find employment elsewhere in other communities and will likely relocate from the valley impacting immediately our schools and further decreasing property value and local businesses customer base. As time marches on along with direct loss of jobs, the impact of the loss of income would have on local businesses, the loss of more and more of their customer base, (not to mention again furthering the reduction our already low property value). Were the hospital to close, there would also be the added impacts on remaining residents and our economy as there would be more travel expense for patients and family members for expense of motels, fuel, restaurants, and loss of retail business carried on while on medical visits in the "city". Perhaps the greatest impact would be increased deaths due to the distance to medical services. A further impact of the closure of the Medical Center could be the loss of our volunteer ambulance services. Due to the increased travel time, there may be a need to create an ambulance district and hire paramedic employees to staff these extended trips. Currently most of our ambulance crew of volunteers have regular jobs, it would be nearly impossible for the volunteer EMTs to continue to carry on their duties with the greatly increased transportation times involved. With an average of three emergency room calls per day, it would be completely unfair for us to ask our current volunteer based EMT staffing to meet this level of need. To recap, this bond will not just continue to enable the hospital to function, but it will allow it to rebuild and upgraded services, along with liquidating past debt. Perhaps most importantly, it will allow the hospital to improve the value and sustainability of our community, which so many of us hold so near and dear. The Medical Center's presence is a large asset to those residing in this community. This bond will enable an expansion of its current services, rather than closing its doors & leaving the counties remaining residents trapped with the huge remaining past debt and no hospital or clinics Were we to lose our hospital, and with the district liable for the debt, the tax payers would bear an even heavier burden of repayment, economic losses, increased loss of life and limb and all due to our loss of rapid access to medical services. As a result of Brads presentation the following discussion ensued: Butte County is a wonderful retirement community with its laid back attitude, ability to rally in times of need and has a enveloping Hometown feel. Unfortunately though, without the presence of medical facilities, many elder residents would find residing here a health threat or liability rather than a blessing. 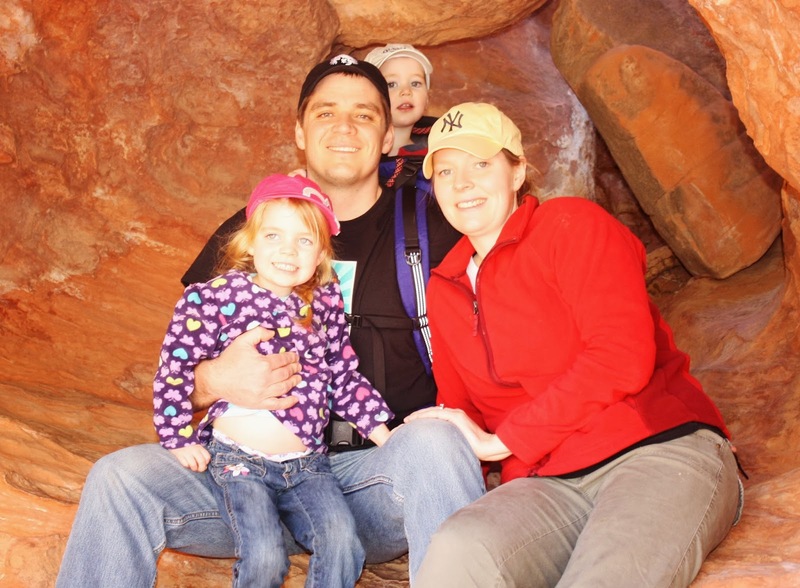 Our children are our future: Without proper medical attention during unforeseen accidents or sports injuries, there futures will be greatly compromised and for some even non-existent without emergency medical services. 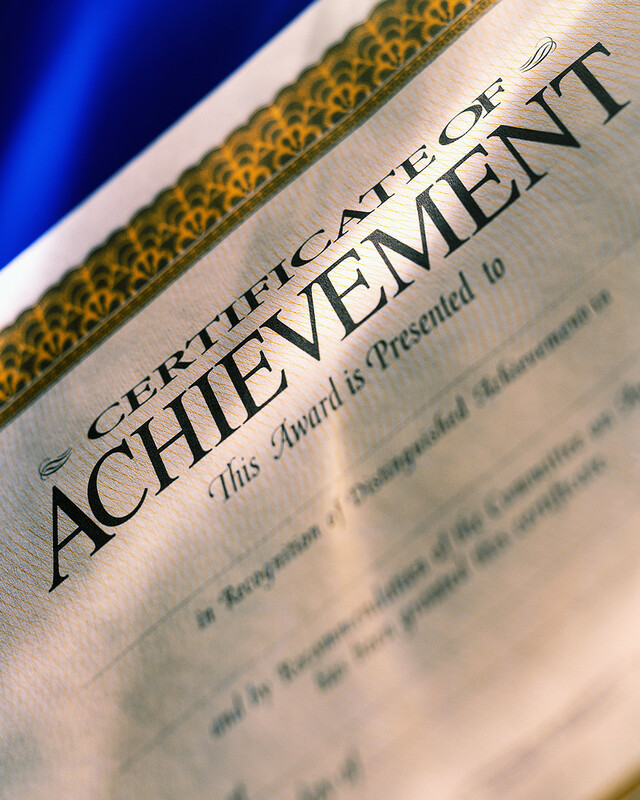 Jack moved for the Chamber to endorse the passage of the bond issue publicly. The motion was seconded by Marie, and was passed unanimously. It was unanimously concluded that without a hospital, we would have decreased population, and/or decreased income in the community, adversely affecting all current businesses economically and, brutally affecting all members of the community severely, both economically and personally. The trickle-down effect of the loss of the hospital would be devastating to our economic stability. Melinda nominated Clay Condit to be the chair for business communication liaison. Clay accepted this position and will await a statement from the Hospital endorsed by the Chamber to communicate with the local businesses that were not in attendance, requesting their support of this impending bond on any and all levels. Marie moved to conclude the meeting and Jack seconded. Motion carried. Meeting was adjourned at 9:10 am. Lost River Medical Center Grand Opening September 5th! 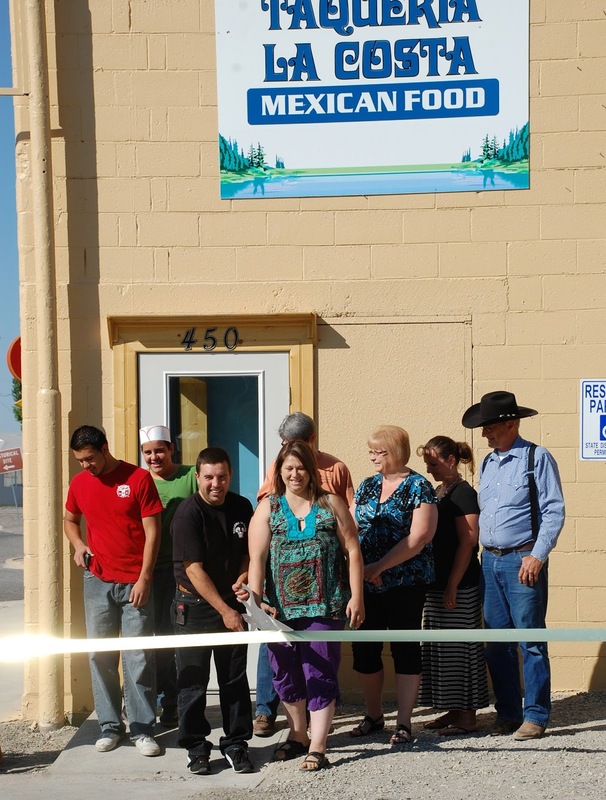 The Butte County Chamber of Commerce held a ribbon cutting ceremony on Monday morning for Hector and Maricela Martinez, owners of the Taquería la Costa. 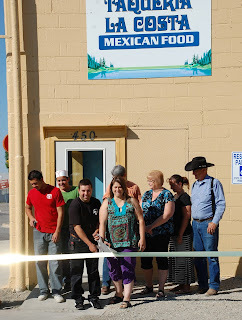 Mr. Martinez purchased and refurbished the old mini-mart on West Grand Avenue, across of the Bottolfson Park. They opened for business on the Saturday of Atomic Days 2013. 4TH OF JULY Community FESTIVITIES "Home of the Free Because of the Brave"
We are excited & ever so proud to announce that this year your communities' 4th of July family events are a result of the Partnering of your very own Butte County Troop Boosters, your Butte County Chamber of Commerce & Local Volunteer Firefighters! Help us celebrate our freedom remembering our loved & cherished ones by entering your float/vehicle or by coming downtown to view the parade & donating to the Fireworks display which is completely community funded! I would like to introduce you to “A Push to Remember – Skateboarding Across America to End Alzheimer’s”. On July 4th, 2013, our five person team, ranging in age from 20 to 56 will come together to push our skateboards 3,000 miles from Newport, Oregon to New York City, New York in a little over three weeks.